Euclid® Medical Products is excited to announce the introduction of two new packaging machines in 2019. The Axial™ RMD-144, featuring 144 canisters, and the Axial™ RMD-352, featuring 352 canisters. Built on a revolutionary new rotary design, the 2×2 foot (144) and 2×4 foot (352) machines boast a smaller footprint than any other machine on the market. This sleek new design also allows for easy access to the canisters, as well as easy cleaning and maintenance. 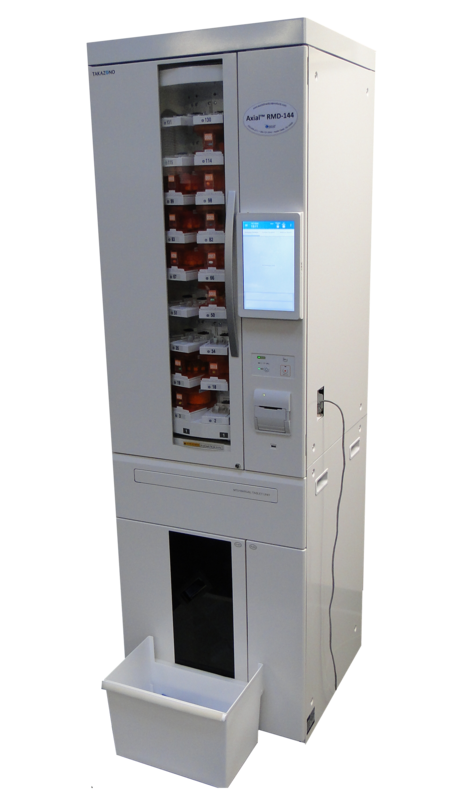 With new RFID smart canisters and a built-in dehumidifier, these machines can package medication with a very low error rate.